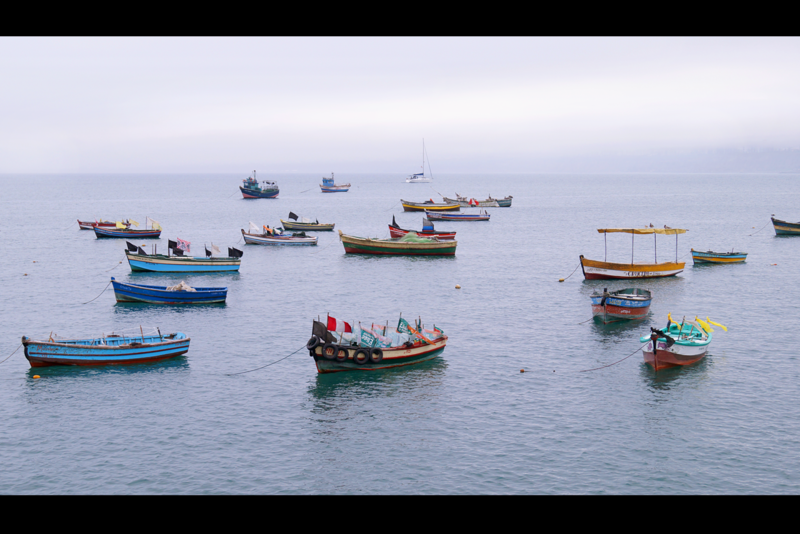 This is a photograph from a personal exhibition made in Lima, Peru called ‘Before Dusk’. It depicts the Sunday morning (around 9:00 am) after fishing time has ended. Fishermen anchor their colored boats close to each other to lure the attention of the visitors and offer them boat rides and shell accessories.